A Win & A $200 GC Giveaway! I recently won a giveaway from the beautiful and talented Melaine at My Sweet Savannah . My gift was a custom art piece from Modern Bird Studios. I submitted a photo taken in front of our hotel in Venice. Venice will always have a special place in my heart because Hubby and I were married there. You can read about our wedding here. Modern Bird Studios took my photo and turned it into a wonderful personalized art piece, hand painted on wood. When I opened the package I could not believe how beautiful it was! The shadows in the painting are amazing and they seem to change in different light. The photos here can not capture how stunning this painting really is. Thank you so much Melaine and Modern Bird Studio for this fabulous gift! I will cherish this always. I love my gift so much that I asked Megan and Gregg if they would do a personalized art piece for one of my readers. They have generously offered a $200 gift certificate to Modern Bird Studios as a giveaway! Thank you both. Visit Modern Bird Studios and come back here and leave me a comment. 2. LIKE Modern Bird Studios on Facebook for an additional entry. There are three chances to win so please leave a separate comment for each entry. This giveaway is open to the continental US and ends at midnight 11/1/10. Winner will be drawn randomly and announced the following day. You do not have to be a follower of No Minimalist Here to win. I do really appreciate my following friends and those that take time out of their busy lives to visit me. Thank You! If you don’t want to wait to see if you are a winner Modern Bird Studios is also offering a 15% discount to my readers. The discount is available for up to one week after the giveaway ends. Use the code NOMINIMALIST. Thank you so much for entering and good luck to everyone. Disclaimer: I received no product nor compensation from Modern Bird Studios for hosting this giveaway. What a beautiful painting! I spend a few days in Venice two years ago. It was one of my favorite cities in Italy. WOW! Thanks for the giveaway! They do gorgeous work! What a great giveaway. I love their work and your piece is beautiful. Congrats!! Oh that is so gorgeous and unique Sherry! I hopped over to their website and just loved it! That is an incredibly generous giveaway and thanks for doing this! Sherry what an amazing giveaway. They are so talented. I love your painting and thank you for a chance to win a painting of one of my photos! I love Modern Bird's pieces. I also have them now 'liked' on facebook too! This is fabulous! I love their artwork. I like MB on facebook. Yay! I'm already a fan on facebook. As a photographer family, this would be a treasure to win! Already a facebook fan of Modern Bird!!!!!!!!! I love your painting! And I love Modern Bird Studios as well! I follow Modern Bird on Twitter! I "Like" Modern Bird on Facebook (that's how I found out about your fantastic blog and giveaway)! I follow MB on twitter! It amazes me what Modern Bird Studios can do with a photo…such beautiful and unique work!! I would just love to win this! Thank you and Modern Bird Studios for a super giveaway! They do beautiful work. Your picture of Venice is lovely. I like Modern Bird Studios on Facebook. Jen M.
I LOVE MOdern Bird studios! their art is AMAZING! Oh! and ive been a fried of Modern Bird studios on FB for quite a few months now!! i'll start going through photos awhile…lol they do amazing work i have seen them around blogland i think its beautiful…ty for a chance!! What amazing, unique pieces of art! Love Modern Bird! I love to find new, creative, original artists and I love those bloggers who show me the way! Thanks for featuring Modern Bird Studios and thanks for sponsoring such a generous giveaway! Your piece is just breathtaking! I am a fan of Modern Bird on facebook! Congrats on winning the giveaway! Lucky you! I really love the simplicity of the two color paintings! I like Modern Bird on Facebook. I follow Modern Bird on Twitter (concreteangel16). Love Modern Birds site. They do absolutely amazing work! I love these guys – pick me pick me! Oh I would love a MB piece – they are incredible. I like MB on facebook! what a great giveaway! I love Modern Bird! We just had family pictures taken yesterday, so this would be perfect to win! Congrats, Sherry! What a great image. I just recently re did my family room and am looking for a distinct piee of art. I "liked" Modern Bird on facebook. So coul you please enter 2 enteries for me. i don't have twitter. I hope you will show all of us where you hung your treasure! That would be an amazing gift! They do beautiful work. Thanks for the giveaway. I love Modern Bird Studios! Their work is stunning. Thanks for the chance! Their work is amazing. What a special piece they made for you! I just found their work a few days ago and am in LOVE! I would love to win this since there is no way I can actually afford one of my own! Such cool stuff over at the MBS site. I think the two tone painting is my fave! I love their pieces. So beautiful! I follow MBS on Twitter too! I also like MBS on Facebook! oh my goodness! Those acrylic and wood paintings are amazing! $200 wouldn't cover one of those, though… 😉 I love their work! and I like them on FB! I liked Modern Bird Studio on facebook! Yeah!!! What a unique photography art technique – I love it. I don't just LOVE Modern Bird, I LURVE them! In the words of Bruno Mars, If I was "a billionaire" all of my art would be from Moder Bird! The do amazing work. So very pretty! I Love Modern Bird. I would love to win a piece! That piece you had done looks great. I would love to win that to have something done. Not sure what. What a generous giveaway. I visited their site and I love their work. What a beautiful piece they created for you! Ibam sure that it is something you I'll treasure for a long , long time. I am a follower on FB! thanks! i would love to wiN!!! such beautiful pieces!! Ohhh my goodness…what a fabulous gift, my friend! 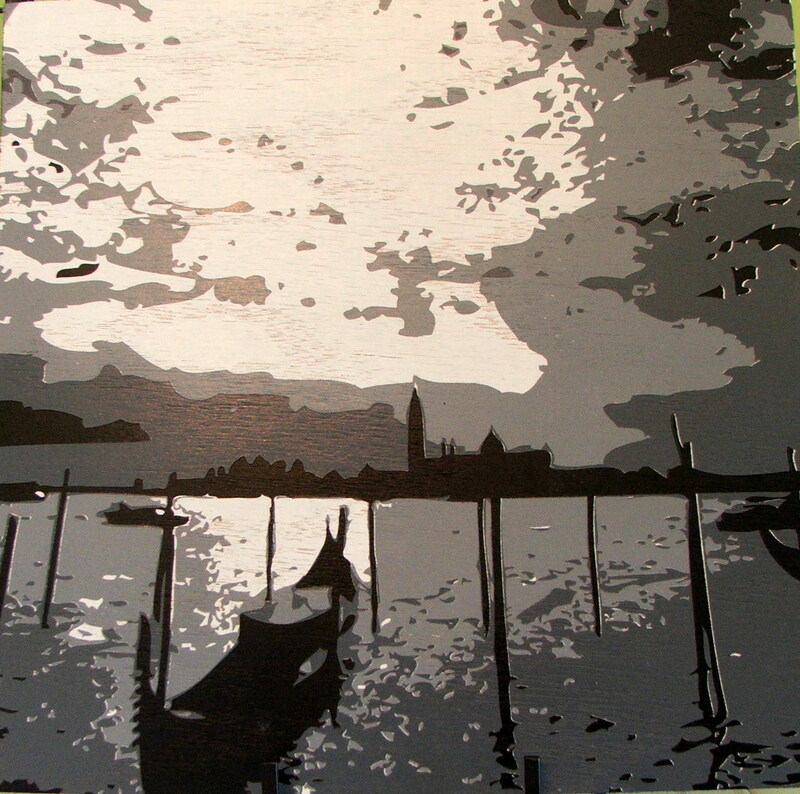 Sherry, as soon as I seen this…I knew right away that this was the view looking toward San Giorgio Maggiore! My honey and I have stood on that very spot…with that same exact view! We honeymooned in Venice five years ago…it was fabulous! Of course, I guess I don't need to tell you! Hehe! Anyway, that really is a very beautiful piece of art…and it holds such special memories for you! I love that! Thank you for sharing it with us…I'm sooo happy for you, sweet lady! I'll have to meander over to Modern Bird Studios! Thank you so much for hosting this fabulous giveaway gift for us…this is so sweet and very generous! Thank you, Sherry! I also wanted to thank you for your recent visit and sweet note that you left on my autumn leaves vignette! You made my heart smile, my friend! Congratulation on your beautiful new piece, I'm sure you're thrilled to have it. I bet as you walk past it several times a day you just stop and smile. i love modern bird work and what a great website. Would love to win! i follow modern bird on twitter. I love the stuff from Modern Bird studios! I really love your painting. It's absolutely stunning. Looks fantastic displayed on your table top. I can't believe your father has a Delorean with 8000 oringal miles…WOW!!! I'm so happy you stopped by my blog. Now I can follow yours. I adore antiques so this will be a fun blog to follow. Congratulations Sherry, your painting turned out beautifully and what a wonderful memory to have captured in a painting! I visited their site and was immediately drawn to the dog portraits. I have also joined them on Facebook. Thanks so much to both Modern Bird Studios and to you for this wonderful giveaway! Your picture turned out amazing, and it gave me the idea to have a painting created of Chicago, my husband's hometown, to remind him of his roots all the way out here in California. What a great Christmas present! I love Modern Bird, there work is amazing! Thanks for the great giveaway! I follow Modern Bird on facebook! I love Modern Bird. 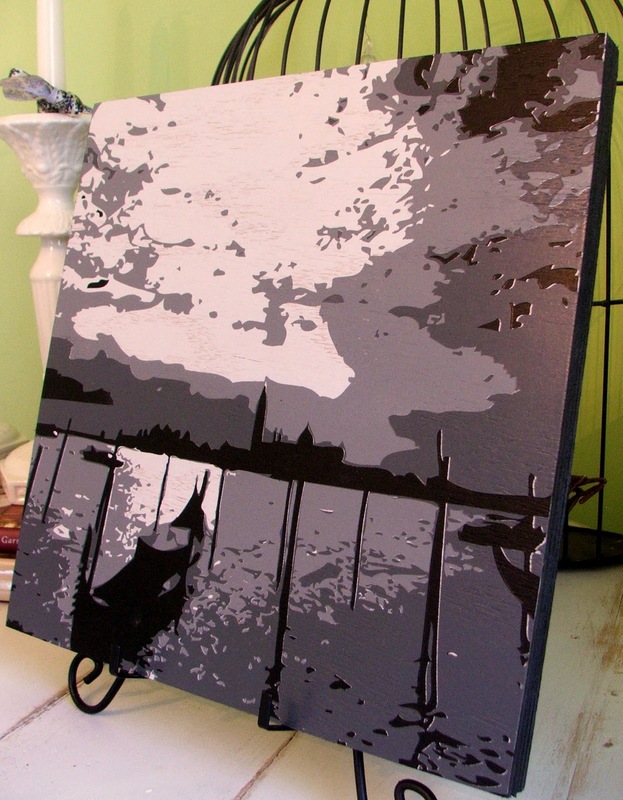 I also love the new art on Esty. Such beautiful work that they do! I looove Modern Bird! Your piece is absolutely beautiful, as is everything they do. I like MBS's work. You had a good piece for them to do for you! I also like them on facebook to view updates. YAY! I follow Modern Bird everywhere trying to win. I would love to have a block from them of my 6 month old. My bare white wall is screaming for it. Plus! This contest ends the day before my birthday. What an awesome gift this would be! I also follow MB on Twitter. And I follow MB on Facebook! What a great giveaway, thanks so much to you and Modern Bird. I checked out their web site and what a great place to get those precious memories captured and saved. oH, my…what a wonderful gift..I know you will cherish it forever. O, and yes, I do remember the HGTV show you mentioned. I watched it all the time. I checked out they're sight and their art is really cool. Thanks for the giveaway! Sherry congratulations on your win. This giveaway is lovely. I visited and I love the two color process they use. This is probably the sixth or seventh Modern Bird contest I've entered. I hope I win!!! Their work is beautiful. Thanks for the giveaway! I'm following Modern Bird on twitter now! i'm a new fan and am dying for a piece done of my little ones! I also 'like' them on Facebook. How amazing!!!! Your artpiece is absolutley amazing, what a treasure! I would love to be entered. I am a photographer….I have LOTS I would love to have transformed. I'm an admirer of Modern Bird. I like their 2-color process the most. Beautiful! What a wonderful and generousl giveaway! Just awesome….I would love one of my boys at Daytona Beach this past summer in the straight up 2 colours…. Thanks for showcasing the art of Modern Bird. Very nice! I love Modern Bird Studios! They do such beautiful work! Sherry, love your picture! Since I recently went to Venice in July, that picture is familiar and would be a wonderful memory to add to my collections. Thanks for sharing this amazing give-away! Oh my…. this is a glorious giveaway…. I'm so happy you won and that your painting turned out so beautifully. I love their two color process paintings… So pretty. Fingers crossed….oh how I HOPE I win. The painting you chose looks really great in that style but I really love some of the portraits in the 2 color original process! LOVE Modern Bird! really hope I win! I'm a friend of Modern Bird on FB! Thanks so much for entering me in this great giveaway! I love your fabulous art piece. What a great giveaway! I'd love to win. Thanks for the chance! The art piece they did for your is amazing. What a great way to use a special photograph in your home. I "LIKE" MBS of FB!!!!!! Love their style. Perfect for my home or to get a gift for my in-laws. Thanks so much for the giveaway! I've been adoring @Modern_Bird for months from afar, and would love to adorn our living room walls with some beautiful personalized artwork! c2cmom follows @Modern_Bird on Twitter! 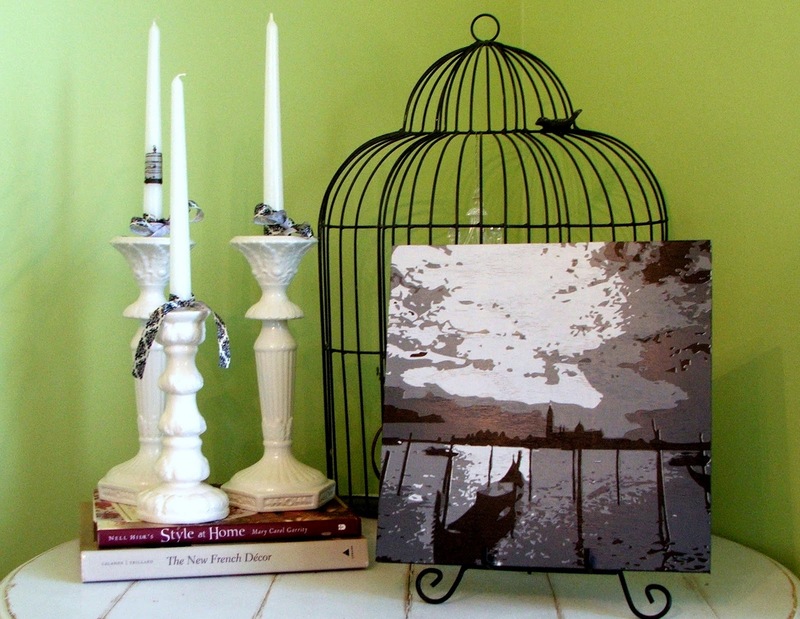 I "like" Modern Bird Studios on Facebook! I have followed Modern Bird on Twitter for a while (that's how I found this giveaway!) and have just "Like"ed them on FB. What a great offer!!! I also follow them on Twitter. And i am a fan on Facebook! That is a beautiful Venice scene. Awesome giveaway!! I would love to win. I like MBS on facebook. I follow MB on Twitter and "Like" them of FB. Their work is amazing. what amazing work! and such a unique way of sharing a favorite picture! What a beautiful and meaningful piece of art. Thanks for the opportunity to win one myself. I also follow Modern Bird Studios on facebook. I love modern bird… They are so unique and have amazing pieces. I would love to win a certificate toward a fabulious piece!